Most biking takes place on roads. Making roads comfortable for biking is a top priority of Ride Illinois and our members. Depending on the context, “comfortable” may mean paved shoulders, bike lanes, an off-road sidepath trail, something else – or nothing additional at all. Ride Illinois has long advocated for bike-friendly roads. We do this by influencing local and state road agencies to adopt a Complete Streets approach at the design policy level. We also work to influence design at the specific project level, either as part of upcoming roadwork or through separate retrofit projects. 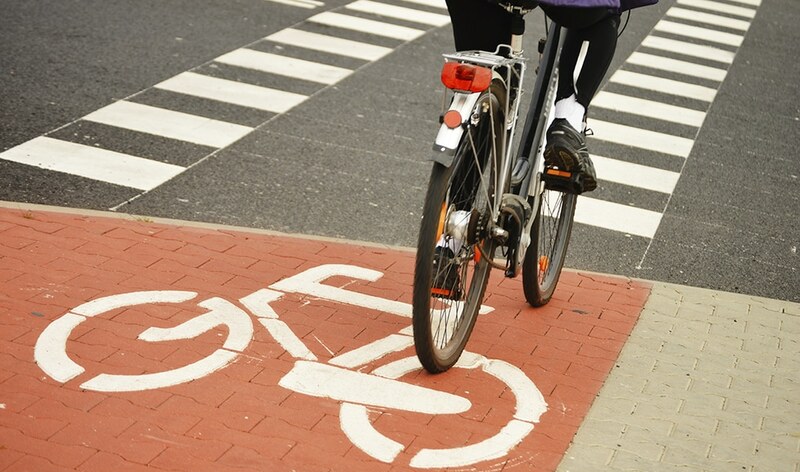 Our advocacy has successfully guided the design of bike-friendly roads in urban, suburban, and rural areas all around the state. What roads near you need to be more bike-friendly? Let us know, and we will explore the possibility of a more bike-friendly road design! When we advise towns or develop municipal bike plans, we recommend these Complete Streets Guidelines for bicycle and pedestrian accommodation. More information about Ride Illinois’ Complete Streets design standards and scoring methodology can be found on our Bike Planning Resources page. IDOT Complete Streets legislation 2005-2007 and implementation, culminating in its 2010 Complete Streets policy for state-maintained roads. See Chapter 17 of IDOT’s BDE (Bureau of Design and Environment) manual, covering bikeway policies and designs. Bureau of Local Roads manual, governing IDOT approvals of state or federally-funded local road designs. See BLR Chapter 42, covering bikeway policies and designs. IDOT’s State Bike Transportation Plan (2014), with recommendations for further policy improvements and programs benefitting bike riders. See Ride Illinois’s Priorities for Plan Implementation. Ride Illinois uses our knowledge of bike planning and standards to send road agencies detailed input on improving a road design for bikes. These suggestions might cover on-road or off-road bikeways, intersections, and so on. Our Providing Bike Planning Resources page can help you learn what is possible, too. Illinois’ 16 Metropolitan Planning Organizations (MPOs) have Transportation Improvement Programs (TIPs) listing federally- and state-funded roadwork in their metro areas over the next three years. It might be that a bike improvement is needed to a street that is not scheduled for roadwork anytime in the foreseeable future. Letters are also submitted to road agencies requesting separate retrofit projects, if needed. Whether a road improvement you have in mind would be a separate retrofit or part of other roadwork, let us know about it! If it would make your biking better, it would for others, too.